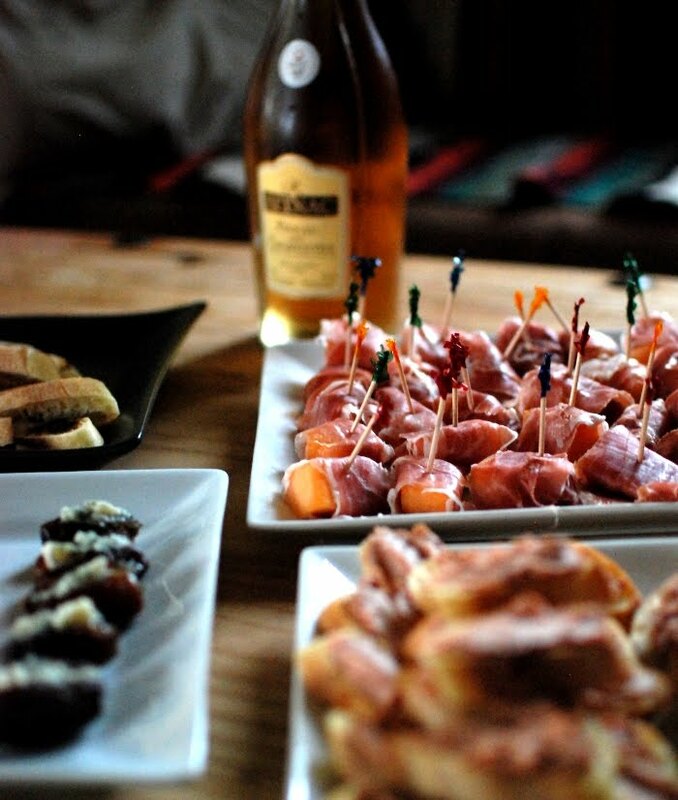 Last weekend we were invited to a wine and food pairing. 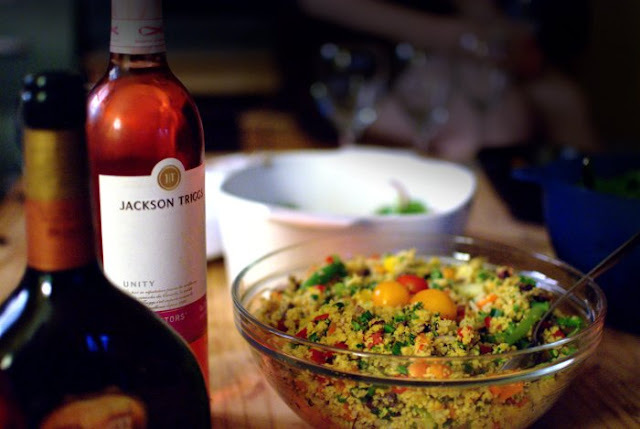 Different courses were assigned to teams of 2 or 3 people and a suggestion was made on the type of wine that would best go with the course. The dishes served were all excellent. We were assigned dessert and we prepared it with one of our friends who was on our team. Here are the courses that were served. 2 different spinach salads with caramelized onions, eggplants, mushrooms, feta, peppers, mandarins, dried cranberries and much more. These were served with 3 different rosés: Jackson-Triggs Proprietors' Unity rosé (Canada), Mateus (Portugal) and a Casal Mendes (Portugal). 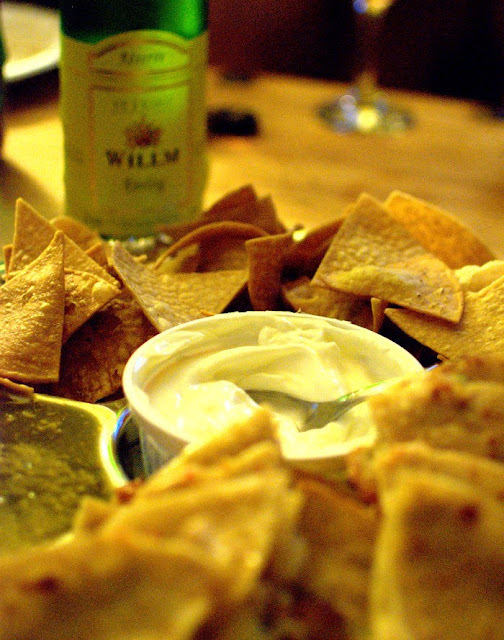 Homemade tortilla chips and chicken quesadillas served with a salsa verde and guacamole. It was accompanied by a Riesling Réserve Willm Alsace 2009 (France). Lamb mini burgers with fresh herbs and goat cheese and beef mini burgers with cheddar and prosciutto on mini pitas. 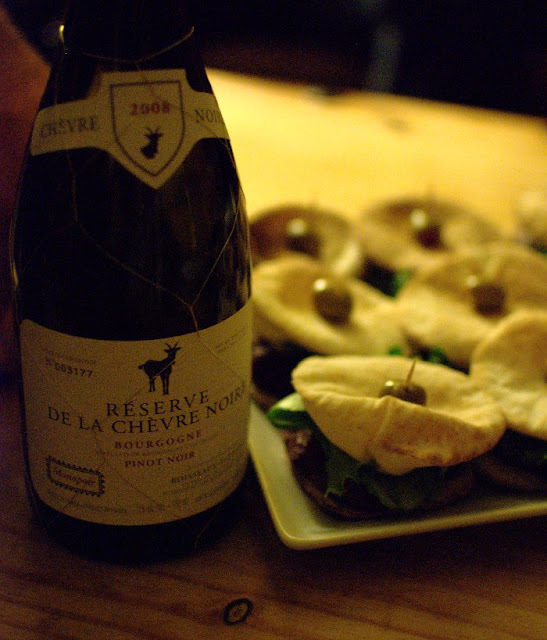 A Bourgogne Pinot noir Réserve Chèvre noire Boisseaux-Estivan 2008 (France), the only red wine served throughout the evening, went perfectly with this meal. 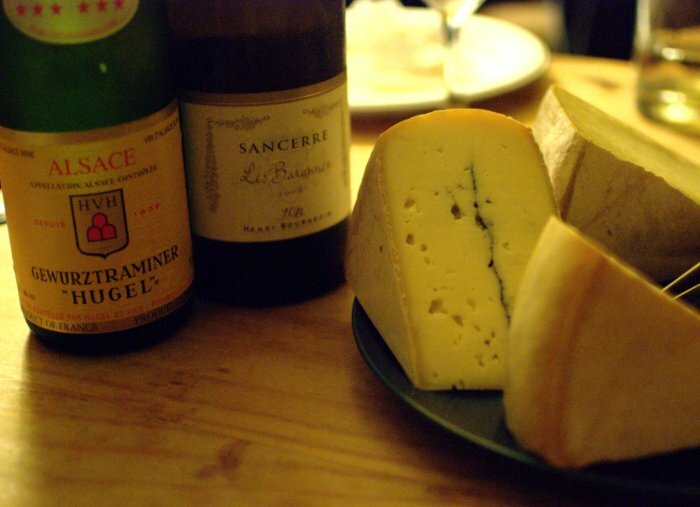 A Gewurztraminer Hugel Alsace 2008 (France) and a Les Baronnes Sancerre 2008 (France). Peach fool with chocolate truffle and dulce de leche cookie. The fool is composed of 2 layers of whipped cream mixed with meringue chips and a layer of peach jam in the middle. Dulce de leche is the most common name for milk caramel in Spanish. 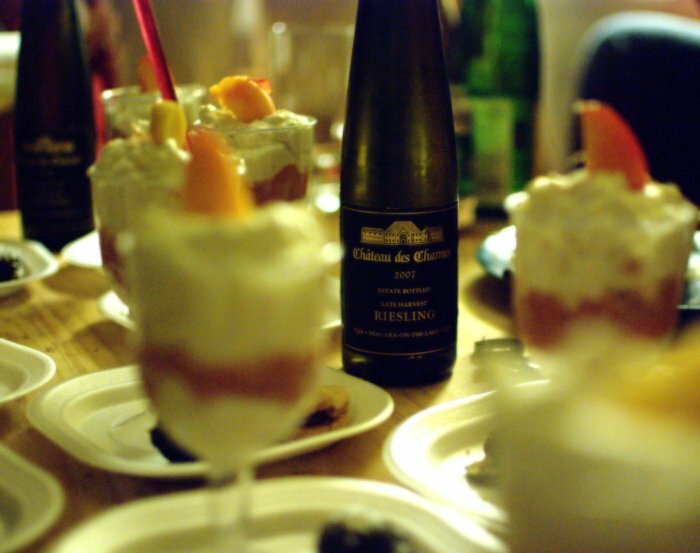 The dessert wine was a Château des Charmes Late Harvest Riesling Niagara-on-the-Lake 2007 (Canada).